Why should cats be indoors? Dogs – Unfortunately many outdoor cats are killed and seriously injured in dog attacks. 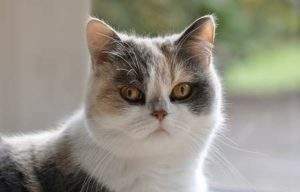 Cars – Another common fatality in cats. Unfortunately, cats have no road sense. Animal abusers – Sad but true, not everybody loves animals, and some derive great pleasure in killing cats. I have also heard from pet owners whose cats have been deliberately poisoned by irate neighbours who resent cats entering their garden. Disease prevention – Greatly reduces the chances of your cat picking up a parasitic infection such as fleas and worms. Preventing injuries from cat fights. The most common injury is an abscess which is incredibly painful to a cat and will need to be treated by a veterinarian. Accidental poisoning or deliberate poisoning. Theft – This may occur because somebody takes a fancy to your cat, there are also sinister reasons to steal cats such as to provide them to animal laboratories for testing. Lower veterinary bills. Due to the reduced risks of injury and parasitic infections in indoor cats, you will have much lower veterinary bills. It is quite possible for an indoor cat to be a happy cat. Below are some suggestions on ensuring your indoor cat remains entertained and happy. If it is at all possible you can give your cat the best of both worlds. Provide him with a screened in porch or outdoor cat enclosure without, your cat can enjoy the great outdoors without the risks associated with free-roaming cats. There are many great cat enclosures and porches on this page. Enclosures come in all shapes and sizes, they can be homemade or supplied by a specialised cat enclosure company. It is quite possible to do this with a little time and effort. This will enable your cat to climb, survey his environment from a height and will double up as a place to sharpen his claws. This will let your cat enjoy the sun and watch the outside world. Indulge in your cat’s natural instinct to prey and hunt by providing appropriate toys. These can include toy mice, corks from bottles, shower curtain rings, ping pong balls, wand type toys, and interactive toys. Cats love to hide, so provide him with plenty of entertainment just by giving it an old box or two or even a large paper bag (never use a plastic bag) to play with and hide in. This will not only provide him with stimulation but also encourage exercise. Bring some catnip or cat grass inside or take a small seedling tray, fill it with potting mix and add some grass seeds for a cat-sized lawn to enjoy. They can play together, sleep together and keep each other company when the humans are at work. Cheap, easy to obtain and will provide your cat(s) with hours of fun. See our article on cats and boxes. Cats thrive on routine, they like to be fed at the same time every day. It is recommended that play time is scheduled before a meal to simulate how he would behave in the wild. Stalking and hunting his prey, eating it, and finally a nap. This is especially important in multi-cat households so that each cat has the opportunity to be on his own. Provide multiple areas for cats to relax. Cat trees, shelving, cat beds, hammocks all give the opportunity for space should your cat want to be alone. Cats don’t like to share their food bowls and forcing them to do so can lead to one cat eating more than his fair share, or forcing cats to eat too quickly which can lead to vomiting. Provide each cat with his or her own food bowl and don’t line them all up next to each other. Make sure you have enough time to give each cat individual attention in the form of love and scheduling play sessions for each cat.